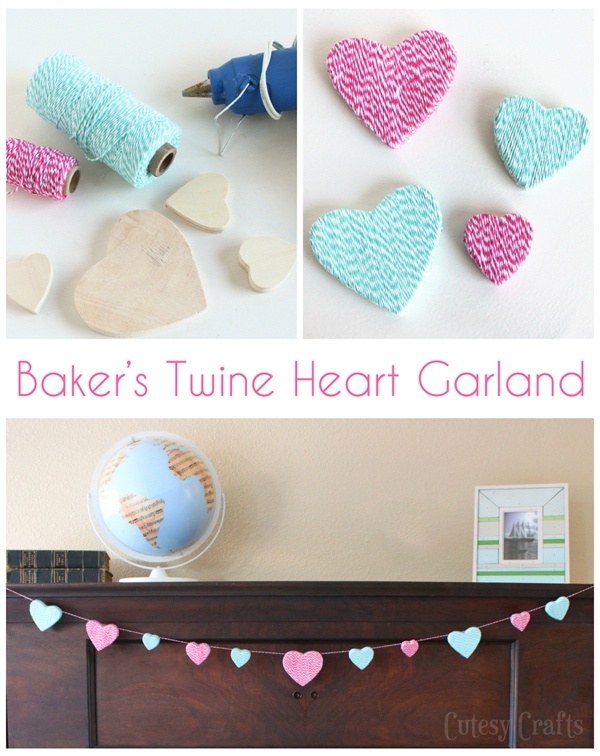 What is it about baker’s twine that is just SO darn cute? 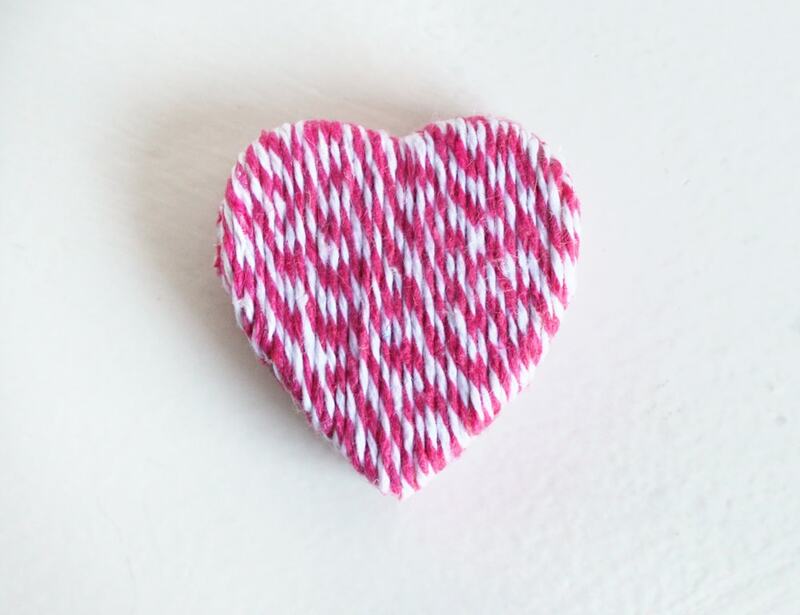 I used it to wrap cookie cutter ornaments in December, and I then said to myself, “Hey self, what if I wrapped it around hearts for Valentine’s Day? 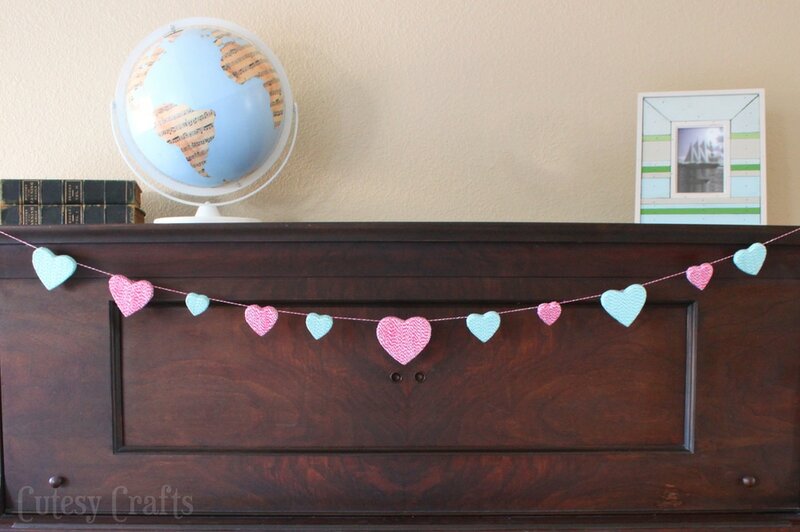 !” Ok, I don’t really talk to myself… well… most of the time… ANYWAY, I wrapped up some wooden hearts and made this cute little heart garland! Now, I’ll be 100% honest with you and say that this is one of those “harder than it looks” projects. I originally thought that it would be as easy as the Christmas ornaments were, but I didn’t take into consideration the “3D-ness” of the hearts when I was making plans. The awkward shape of the hearts required lots and lots of hot gluing, which equaled lots and lots of time. So, I guess it was not so much difficult as it was time consuming. Another thing that I didn’t take into consideration was the weight of the hearts. You can kind of see from the photo below that they are kind of leaning forward a little at the top. 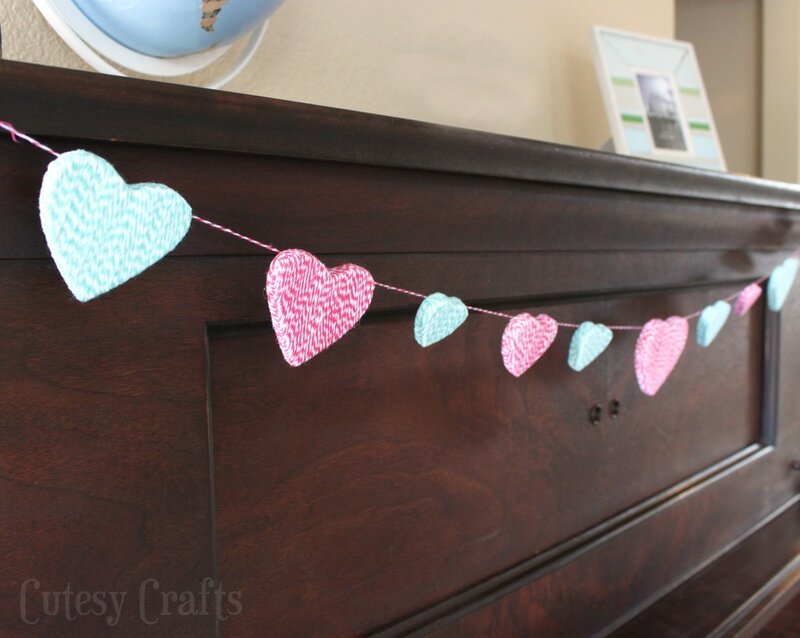 If I had to do it over, I probably would have gotten hearts with holes drilled in them or used some kind of cardboard. Nevertheless, I really do like how it looks hanging in my house. 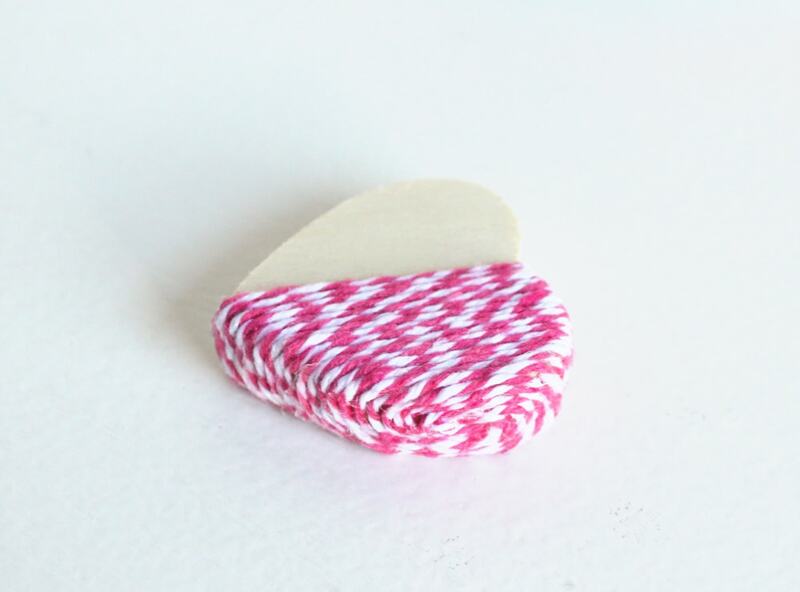 Start by hot gluing the end of your twine to the center of the heart. 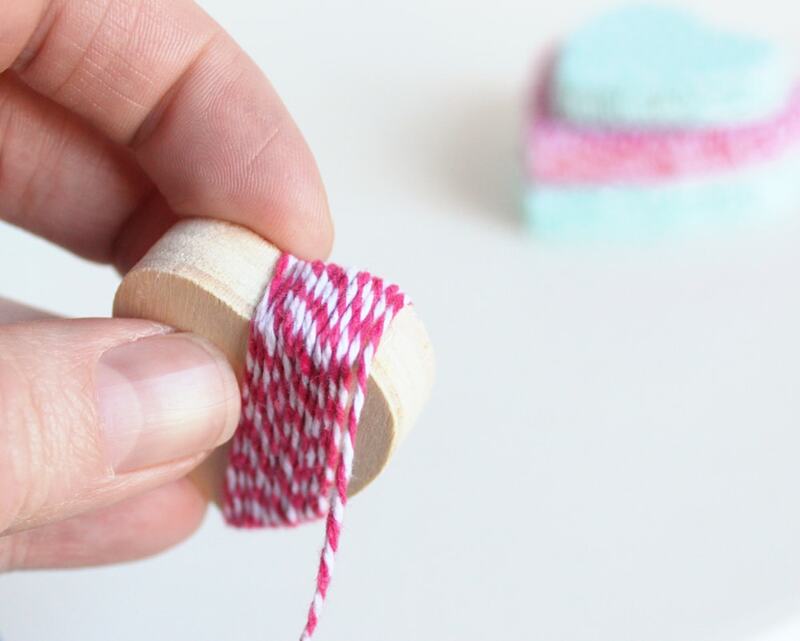 Wrap the twine around the front and hot glue it at the bottom of the heart. 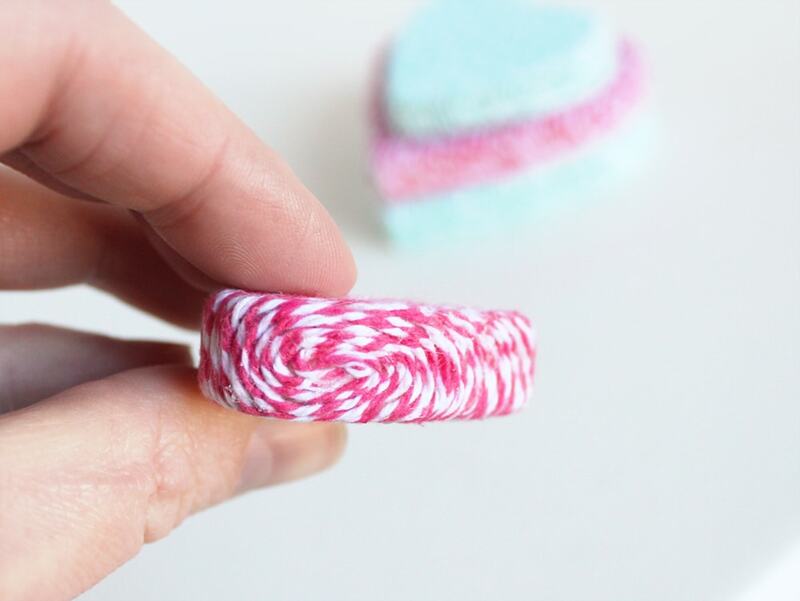 Continue wrapping around and around, hot gluing at the bottom as you go. 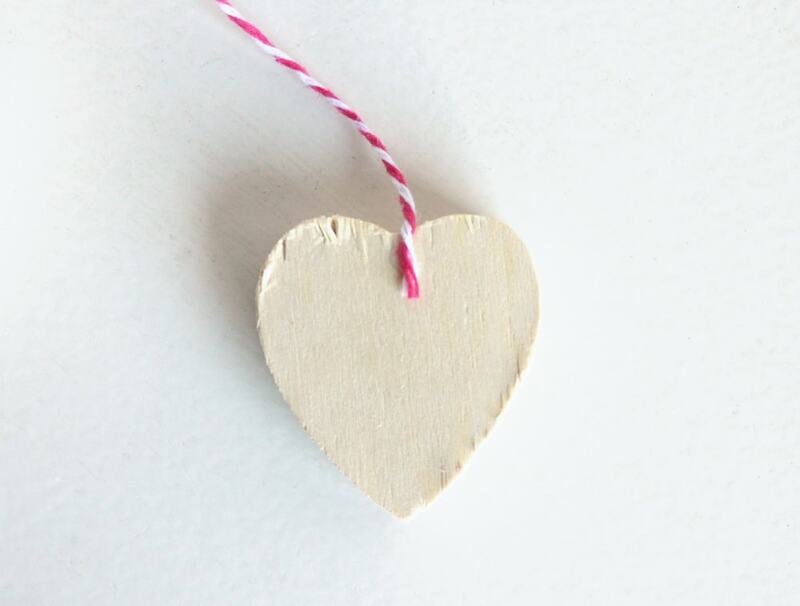 When you get to about this point on the heart, you will have to start gluing at the top as well. 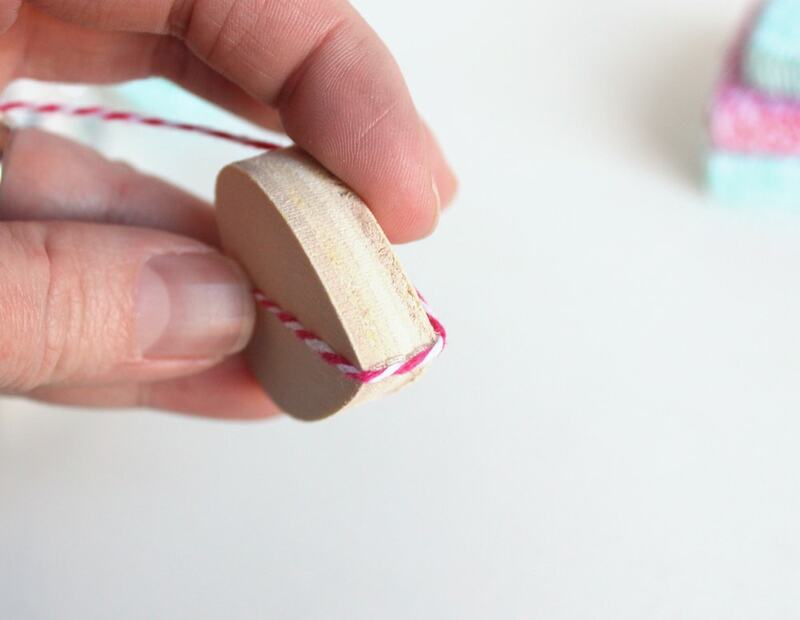 When you get to the side, you will have to swirl the twine around gluing as you go. Snip the end and glue it down in the middle of the swirl. Once half of the heart is done, repeat for the other half. Now just make a bunch more. I make it sound so easy, right? A good TV watching project, for sure! 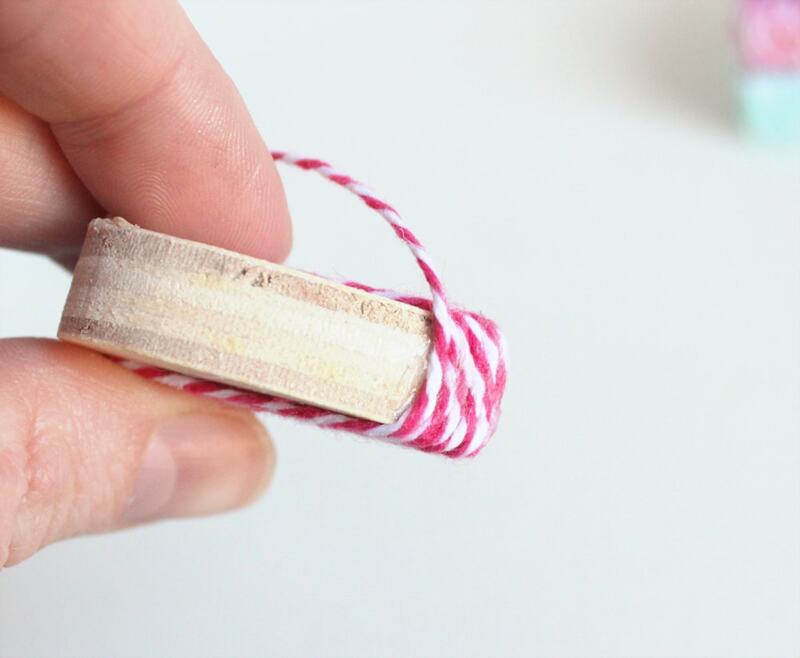 Once you have them all completed, use a staple gun to attach them to a long strand of baker’s twine. Just a couple staples in the top of each heart is good. We don’t have a fireplace, so my piano acts as our mantle. Doesn’t it look so pretty strung across? And yes, I need to replace the picture that came in that frame I bought. Come on, you know you have one of those in your house too! Not sure what to put in it. Probably a picture of my kids? Just need to take a “mantle worthy” photo first. Anyway, I hope you all have a great weekend! Two more weeks until Valentine’s Day! Got any romantical plans? 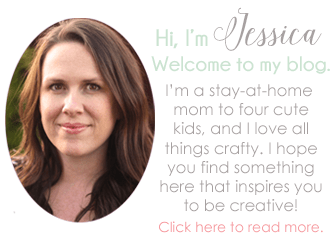 Super cute, Jessica! And I appreciate your honesty about how involved this project got. I’ve so been there. I’m like, “Wait a minute, this was supposed to be easy!” I seem to always find myself in complicated projects. Lol. But this one is worth the effort. I’m a huge sucker for anything twine. Pinning! Haha, I hate when things end up looking like a hot mess! I’ve SO been there! 🙂 Thanks Emily!